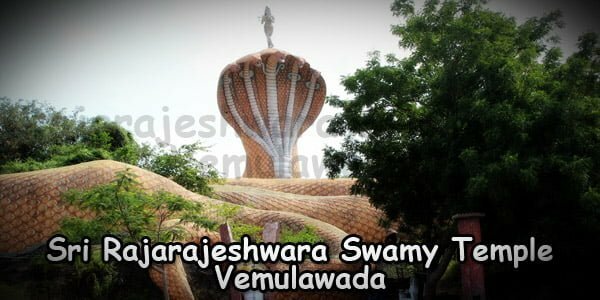 Vemulawada, the land of the Chalukyas is located on the banks of the Mulavagu River in Karimnagar. The town is rich in cultural history and also the display of great architectural style. 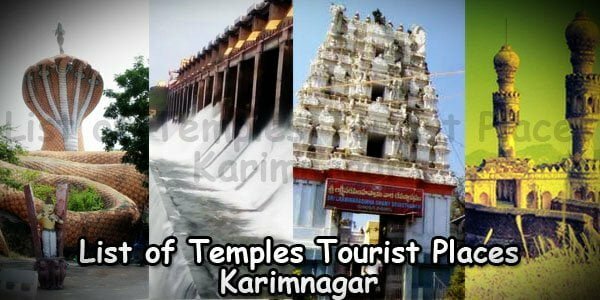 The town has found its presence in the tourism map of Karimnagar due to the existence of the ancient temples in the town. Sri Rajarajeshwara Swamy Temple is one of the most popular and the most visited temples in the area. This Saivite temple is known as the abode of the Eshwara. 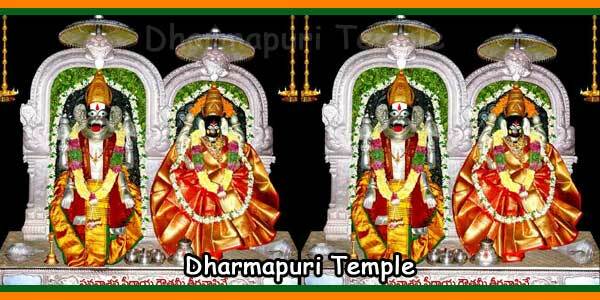 Sri Rajarajeswara Swamy is the presiding deity in the temple. He is the incarnation of Lord Shiva. 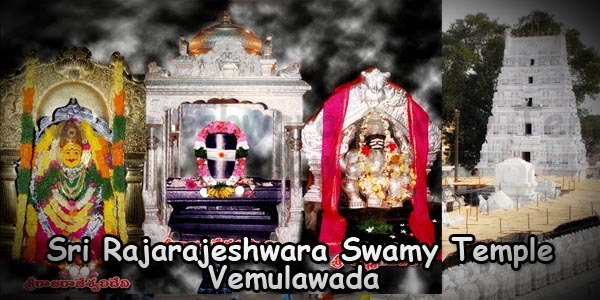 Sri Rajarajeswara Swamy is also otherwise known as Vemulawada Rajanna in Telangana region. There are also the Vaishnava temples within this temple premises. 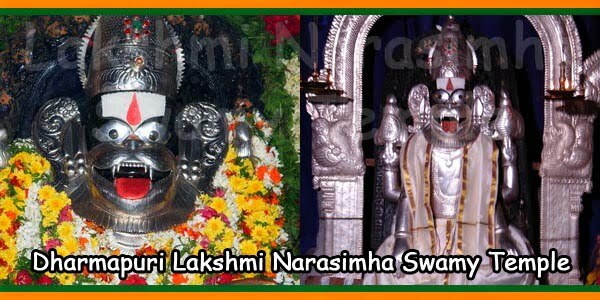 The Sri Anantha Padmanabha Swamy Temple and the Sri Seetharama Chandra Swamy Temple are the two Vaishnava temples in the premises of the Sri Rajarajeswara Swamy temple. The shrine is hence known as Harihara Kshetram because of the presence of the Vaishnav temples within the premises of the Shiv temple. It is also known as “Dakshina Kasi” referring to Banaras of South. The presiding deity is in the form of “Neela Lohitha Siva Lingam”. He is accompanied by Sri Raja Rajeswari Devi and Sri Laxmi Sahitha Siddi Vinayaka on his right and left sides respectively. There are many legends associated with the ancient temples. 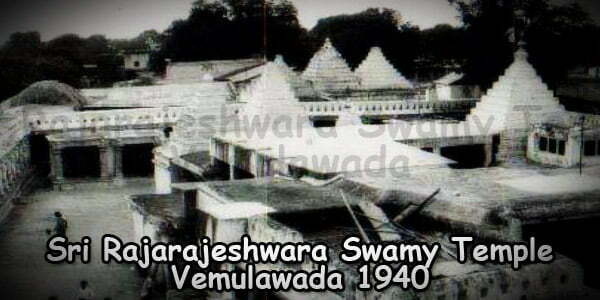 So is the case with the Sri Rajarajeswara Swamy temple. It is said that the sun God, Surya had prayed to this shrine to get his disability cured. The temple thus got the name Bhaskara Kshetram. This legend is mentioned in the Bhavishyothara Purana. There is another belief of tying an ox or a cow and taking it around the temple. This ritual is known as “Kode Mokku”. After the parikrama is done, the animal is given to the temple Devasthanam. Such a ritual is done with a belief of getting the wishes of the devotee fulfilled. This is also a source of income for the temple. 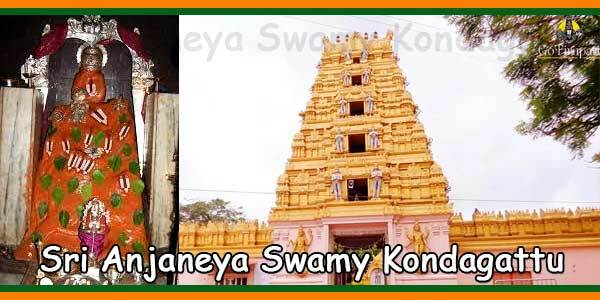 There are many more such legends and stories associated with the Sri Rajarajeshwara Swamy temple that does rounds. Such stories create beliefs among the people and devotees from far away land also come and pray here to fulfill their desires. The temple has become of the most preferred religious destinations in Telangana. The temple had been constructed by the Chalukya Kings during 750 AD to 973 AD. Many more developments were done later during the kingship of Raja Narendra. There was much poetry written in the Chaatuvu style by the Telugu poet Bheemakavi who lived in the town in the 11th century. The temple is situated around the Gudicheruvu tank. The evening scene around the temple is mesmerizing. The reflection of the temple that is lighted up with lamps for the evening prayers falls in the water in the tank. Adding to the wonders of the beautiful sight is the chanting of hymns from the temple premises. The Sri Rajarajeshwara Swamy temple at Karimnagar draws crowds to its full capacity during the Mahasivarathri Jathra and Sreerama Navarathrotsavams. The Mahasivarathri celebrations are carried out in much fanfare and pleasure. The temple authorities make all necessary arrangements so that the celebration is carried out without much discomfort to the people. The temple also celebrates the Vaishnavite festivals. The Sree Rama Navarathrotsavam is also celebrated here in a grand way. The temple authorities make use of its funds in the best possible philanthrophic activities. It had launched the Nitya Annadana scheme in 1990. The scheme seeks donations from the various organizations and individuals to provide food to the children moving here and there. The Sri Rajarajeshwara Swamy temple also participates in philanthrophic activities. In 1990 it launched the Nitya Annadana scheme in which it seeks donations from various organizations and individuals to provide food to poor devotees who throng its premises. The programme has been appreciated and till date continues to receive support from Philanthropists in India as well as abroad. Along with the Vaishnava temples, it also has a mosque in its premises. The mosque had been constructed by a Muslim disciple of Lord Shiva. This mosque has been there since the last 400 years. The temple premises also displays of Buddhist and Jain sculptures and inscriptions. The temple also attracts devotees of Buddhist and Jain faiths. The temple is hence so famous for encouraging religious harmony among the various religions. One can easily get accommodation in the various hotels and guest houses available nearby at very reasonable rates providing all the modern amenities. The rooms are priced between Rs 500 – Rs 600 for the AC ones and Rs 50 – Rs 250 for the Non AC rooms. One such guest house available to the devotees is the Sri Bheemeshwara Guesthouse that provides a comfortable air-conditioned room at INR 1500. Bus remains the most comfortable and easily accessible mode of transport for reaching the destination. The buses by the State Transport Department can also be taken for reaching the place. Buses from Jubilee Hills in Hyderabad take you to Vemulawada. The road way may also be taken for reaching Vemulawada. The place is well connected to Hyderabad, Karimnagar, and Warangal, Nizamabad, Medak and other parts of the state. The international airport is located at Hyderabad which is around 165 km from Karimnagar town. The nearest railway station is Karimnagar. Sri Anantha Padmanabha Swamy Temple. Sri Seetharama Chandra Swamy Temple. Sri Anjaneya Sahitha Kasi Visweswara Swamy. Sreeevalli Devasena Sametha Subramanya Swamy Temple. Sri Bala Tripura Sundari Devi Temple. Sri Kala Bhairava Swamy Temple. Maha Sivarathri Jathra: Lord Raja Rajeshwara Temple will be open the whole day during the this Jathra. Maha Lingarchana & Lingodbhavakala Mahanyasa Purvaka Eakadasa Rudrabhisekam is performed. Sree Rama Navarathrotsavams: On Sree Rama Navami day, Sri Seetharama Chandra Swamy Vari Kalyanotsavam and Rathotsavam would be performed in a grand manner. Sri Thyagaraja Aaradhanotsvam (Celebrated for 5 days). 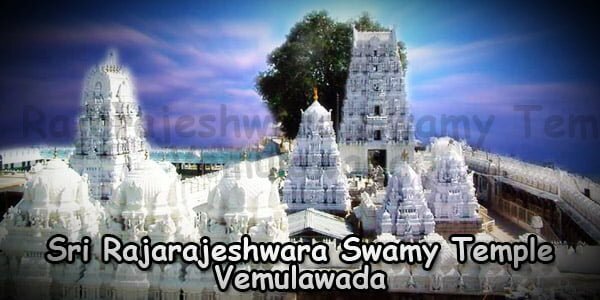 Vemulawada Sri Rajarajeshwara Swamy Temple Timings: 4.30 am to 9.00 pm on all days. Pulihora Prasadam 200 gms Rs. 5-00. Laddu Prasadam 80 gms Rs. 5-00. From Hyderabad to Vemulawada 152 Kms. From Warangal to Vemulawada 112 Kms. From Karimnagar to Vemulawada 32 Kms.